Kate Mawdsley, artist, is the inspiration for this project. Her animal paintings are so simple and colorful. This is a good project to get the kids to draw large; to fill the paper. I cut paper so it measured 4 ½” x 12” to reproduce the proportions of Kate’s art. I searched Kate Mawdsley on Google images and made a copy of her animal prints for the kids to reference. The kids loved this project and you can see what great results were achieved. To learn more about Kate Mawdsley , go to https://www.kingandmcgaw.com/prints/kate-mawdsley . Directions for, “Animal Art ala Kate Mawdsley,” go to the 2nd grade Projects Gallery in the sidebar. 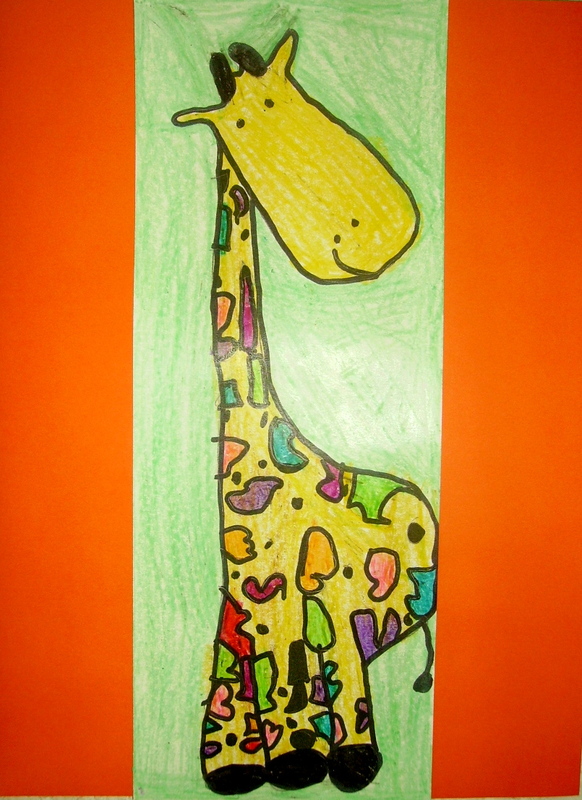 This entry was posted in 2nd Grade and tagged 2nd Grade, animal art, animal art ala kate mawdsley, art and crafts for kids, childrens art and crafts projects, classroom art projects, kate mawdsley inspired animal art. Bookmark the permalink.